What are the factors of 24? Answer: 1 and 24, 2 and 12, 3 and 8, 4 and 6. This is what students learn by memory. 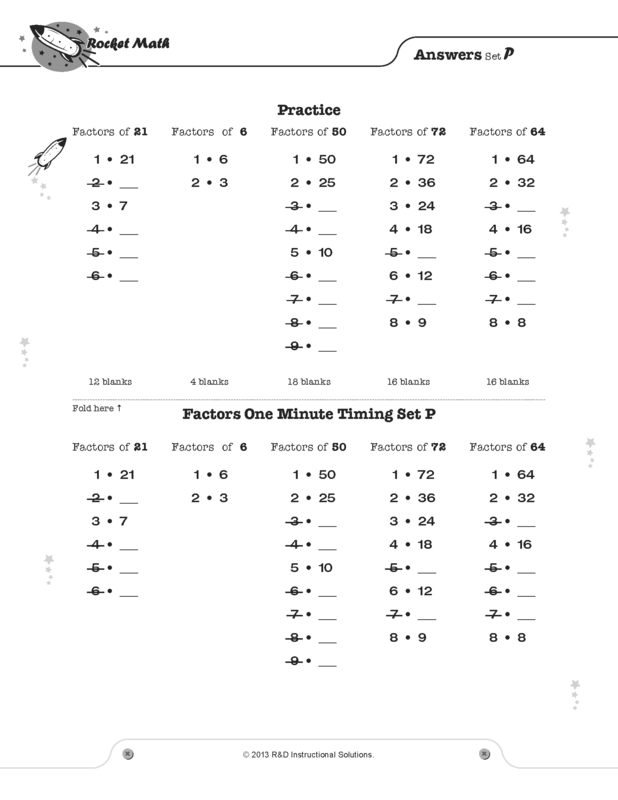 Students practice with a partner, take a daily one minute timing, fill in a Rocket Chart, just like regular Rocket Math. 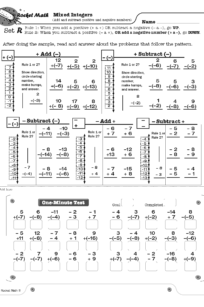 Simplifying fractions will be a breeze after students learn this easy method and practice finding all the factors of these common numbers. 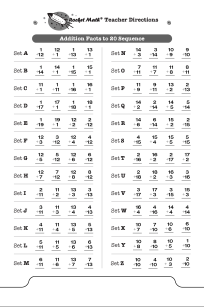 Students learn all the factors for these numbers in this sequence: 12, 36, 24, 48, 18, 32, 16, 64, 10, 40, 20, 72, 8, 25, 50, 6, 21, 30, 60, 15, 45, and 100. 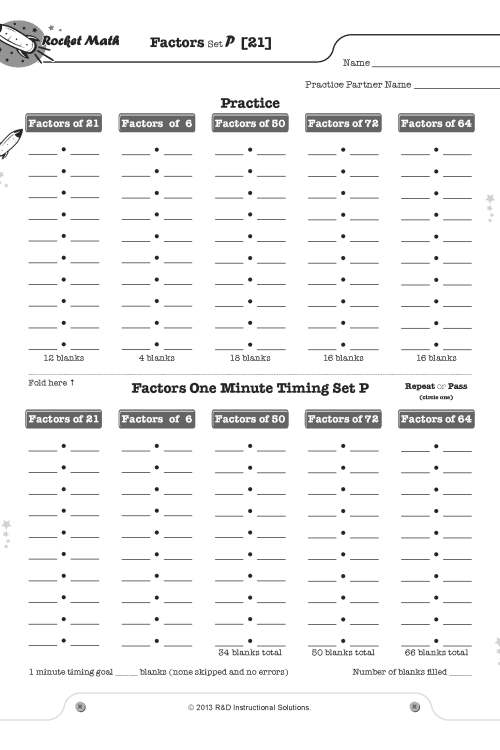 Click here to learn “How to Factor” from Dr. Don’s Educreations lesson on the web. Or read this blog that explains this foolproof method of factoring. 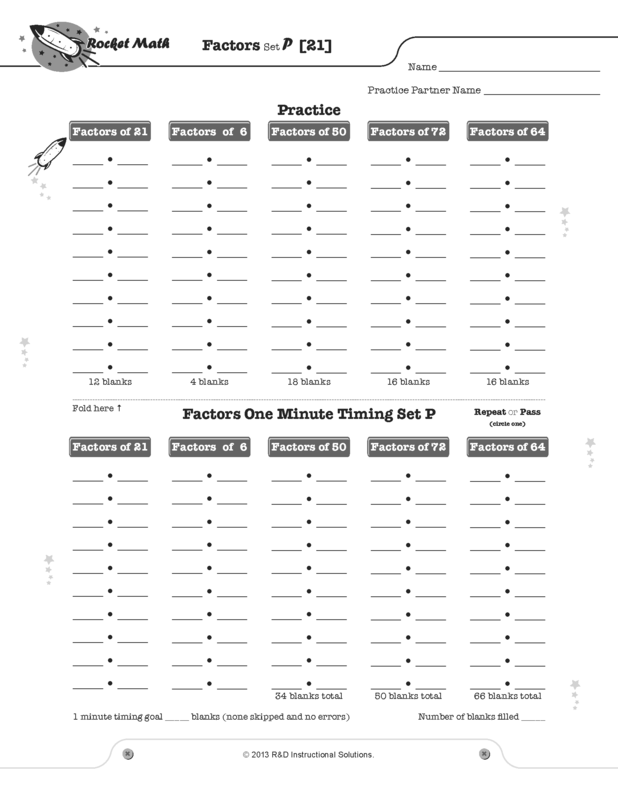 Students practice with a partner, take a daily one minute timing, fill in a Rocket Chart, just like regular Rocket Math. 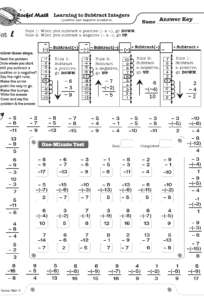 Simplifying fractions will be a breeze after you learn this easy method and practice finding all the factors of these common numbers. 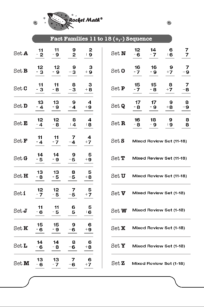 Students learn all the factors for these numbers in this sequence: 12, 36, 24, 48, 18, 32, 16, 64, 10, 40, 20, 72, 8, 25, 50, 6, 21, 30, 60, 15, 45, and 100. Learning to Subtract Integers displays problems on a vertical number line and then teaches students two rules about how to solve problems in which you subtract positive and negative numbers. Rule 1: When you subtract a positive number, go DOWN. Rule 2: When you subtract a negative number, go UP. Students learn how these two rules play out with two types of problems: when starting with a positive number and when starting with a negative number. Students gradually learn all four types of problems. On each worksheet they see how to solve each problem type using the number line working with their partner. 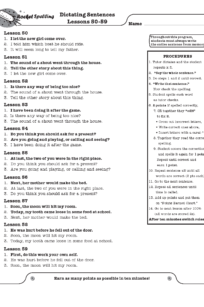 Then students learn to recognize the pattern of each problem type by orally answering several examples of each type with their partner (going around the outside of the page). You will probably not be surprised that there is a one-minute test on each set. 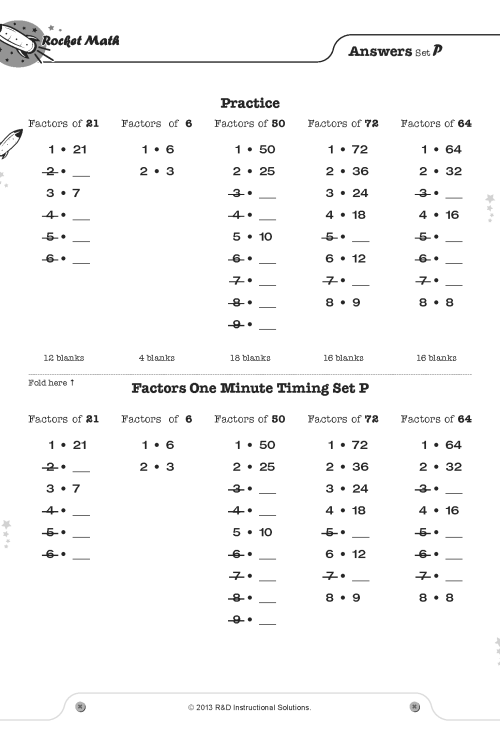 Students are to be 100% accurate and to meet or beat their goal from the special writing speed test for Learning to Subtract integers (the fastest goal is only 28 problems in a minute).